You don’t need a lot of space to make a statement, just check out these inspiring small patio ideas. Maximize your small patio designs space with hidden storage. Purchase a patio bench or table that doubles as a place for storing extra pillows, throws or even gardening tools. Prefer to make your own storage bench? 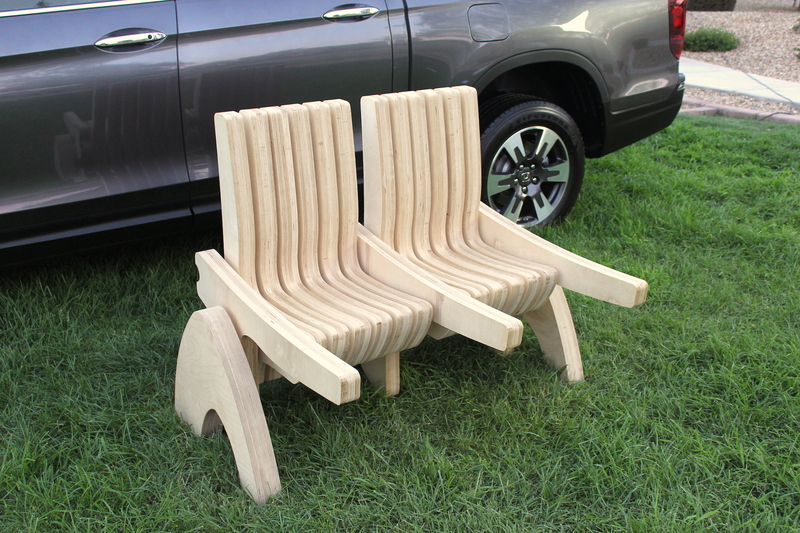 Here are complete how-to instructions for a DIY outdoor storage bench. 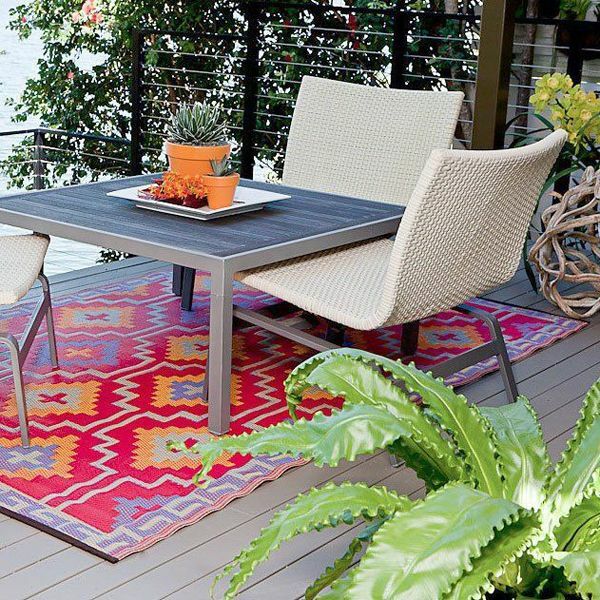 If you don’t have a lot of room to decorate with multiple pieces of decor, add a brilliant splash of color with an outdoor rug. 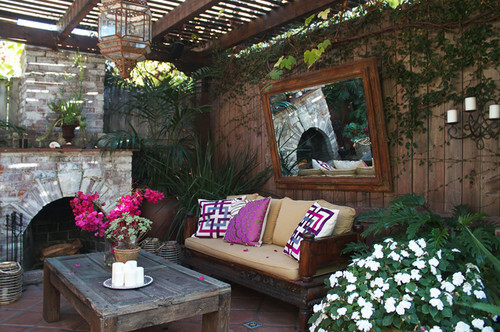 Check out these eye-catching small patio designs for more inspiration. Just because your patio hugs the neighbor’s house or looks out onto the street doesn’t mean you can’t have a bit of privacy. Simply decorate a privacy screen with vines or lush plants. Want an outdoor fire pit and a table to sit at? 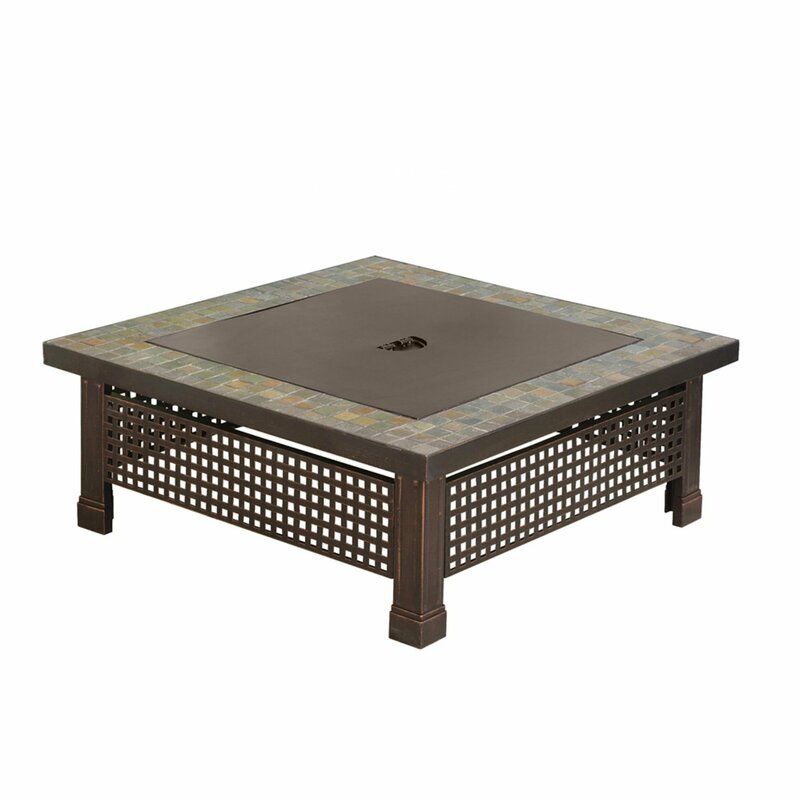 Combine your needs for two small patio ideas in one with a fire pit that converts into a square patio table. You can also build a fire pit table yourself! Really!